Celebrating Hertfordshire in all its unique, interesting and original ways, Hertfordshire Life brings the best of the county to its readers each month. 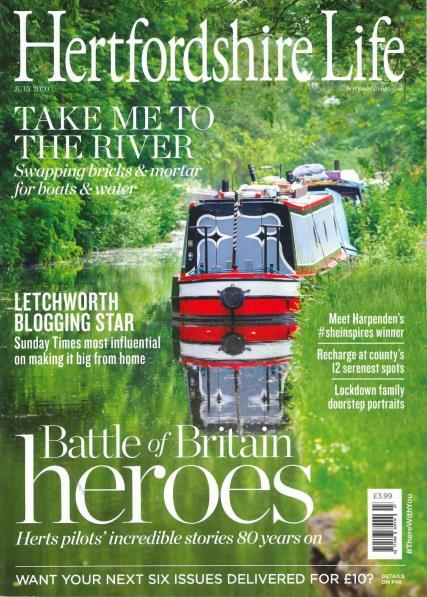 Buy a single copy or subscription to Hertfordshire Life magazine. Packed full of features on the county's interesting people and places as well as what's on it really is Hertfordshire essential read. With its famed society pages - we photograph all the county's finest charity balls and events - Hertfordshire Life is also about glamour. You'll find the finest fashions, best places to eat out and much, much more. In short, Hertfordshire Life is a perfect read for those who have both a love of Hertfordshire and the finer things in life. Pages of upmarket property, exclusive features on the interior design of the county's most interesting homes, top-of-the-range motors test drives - we've got it all.